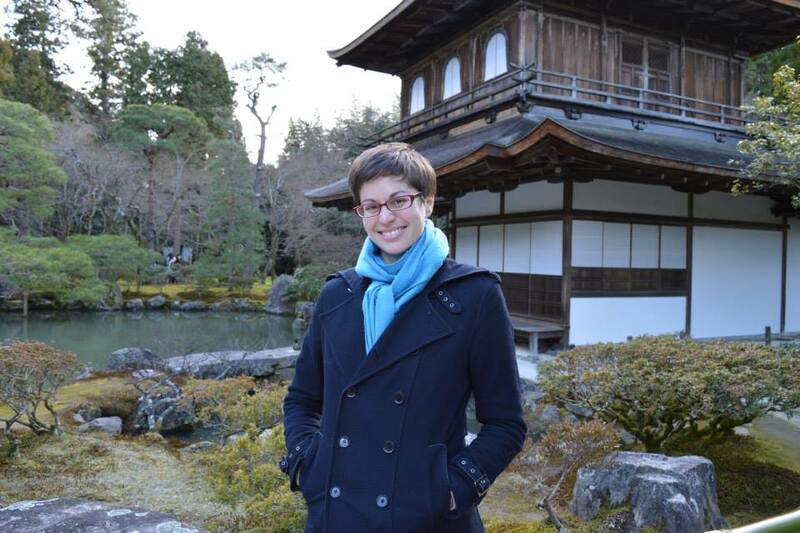 Lindsay DeLand graduated from the LTS Program in 2014 and immediately began teaching in Japan. Her MA project was titled “Graphic Novels as Motivating Authentic Texts for Adult English Language Learners”. 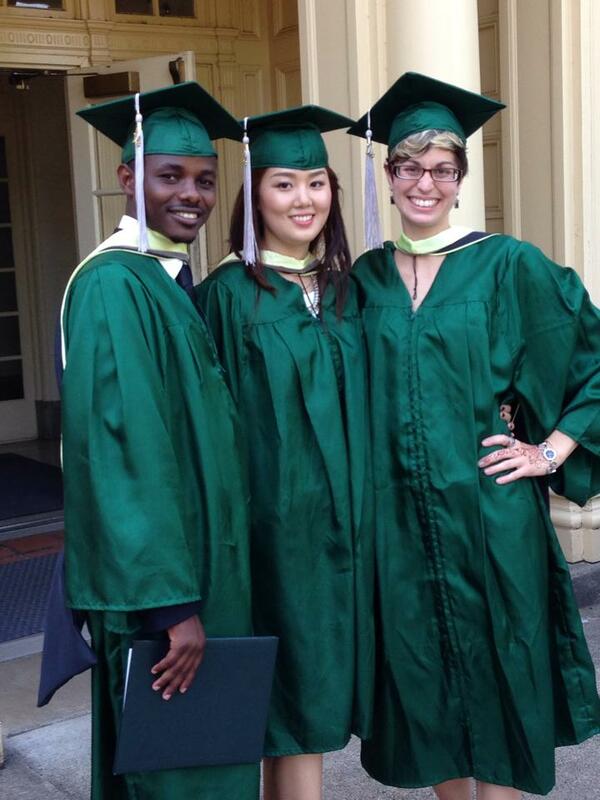 Lindsay (on right) on commencement day 2014 at the University of Oregon with cohort members Richard Niyibigira and Sejin Kim. Where are you working now, and what are you teaching? I work at Tokyo International University in Kawagoe, Japan. I teach mostly speaking and listening skills to Japanese undergraduate students, but I also teach an academic composition class to international undergraduates from a number of different countries. It’s a blast! I love that I get to make so many meaningful relationships with so many amazing students. For me, all the interaction with different people is the best part of the teaching job. I’ve learned a lot from my students, and I’ve gotten to watch them learn and grow a lot as well. What is something you learned while in LTS that you use in your teaching (or life) now? I learned how to design a curriculum, which has been invaluable to me since starting at TIU. Before the LTS program, I wouldn’t have had any idea how to go about planning a class when you’re just given a textbook and total freedom! It’s still a challenge for me, but I’m improving with practice, and I’m grateful for the foundation in curriculum design I got at Oregon. 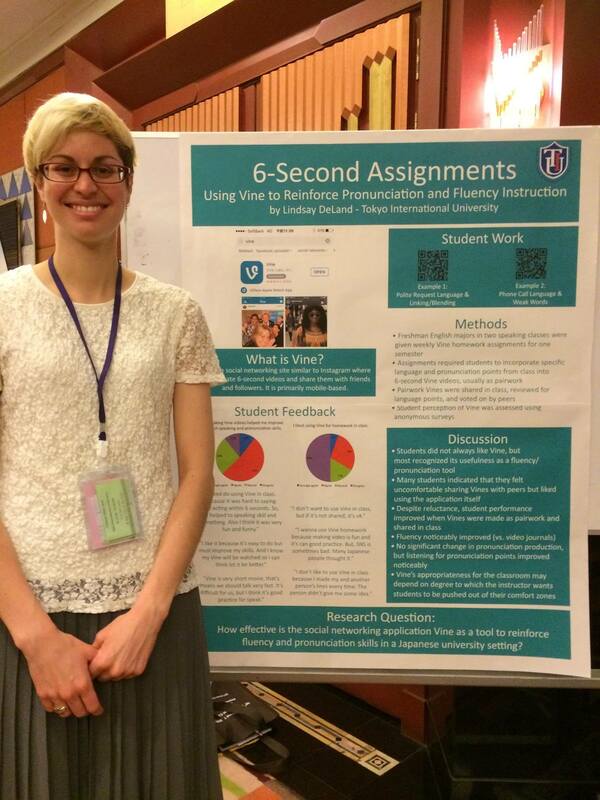 Lindsay presenting her action research at Thailand TESOL International this year. Looking back, what advice would you give current or future LTS students? Both while you’re a graduate student and when you become a full-time teacher, remember to make time for yourself on top of your work and studies. Teaching is a great job but it’s also very stressful and can be all-consuming. If you don’t find a way to balance a healthy and happy personal life on top of your work life, work will feel a lot harder! When I was an LTS student, I often studied with friends from my cohort to make the workload feel easier, and we regularly got together for fun to keep each other sane. Now, even when my semesters are busy, I make sure to do at least one fun and rewarding activity a week, like exploring a new part of Tokyo or just spending time with friends. It helps me refresh my brain so I can better tackle my job! Great advice! Get some time for yourself folks! Yes, work hard but DO NOT forget to stay healthy!